King Toon Thackeray ruled Mumbai like no other. He also divided the city like no other. The cover of Bal Keshav Thackeray’s book of cartoons, Fatkare (literally ‘strokes’ but could mean whacks too! ), has a tiger paw tearing up a bloody red background. A telling image if there ever was one. Whoever he or the Shiv Sena clawed, bled. Even before the Sena was launched, he had made his politics clear—rule of law was secondary to the notion of fighting for the pride of the Bhoomiputra (sons of the soil). The Sena has targeted south Indians, north Indians, Leftists, Dalits, artists and Muslims in different—and at times simultaneous—phases in the past 45 years. In each campaign, they also managed to marginalise a section of the victims, and make a lasting impact on Mumbai’s very nature. Interviews by Prachi Pinglay-Plumber. K.K. Ganapathy had a leather business in the 1960s. 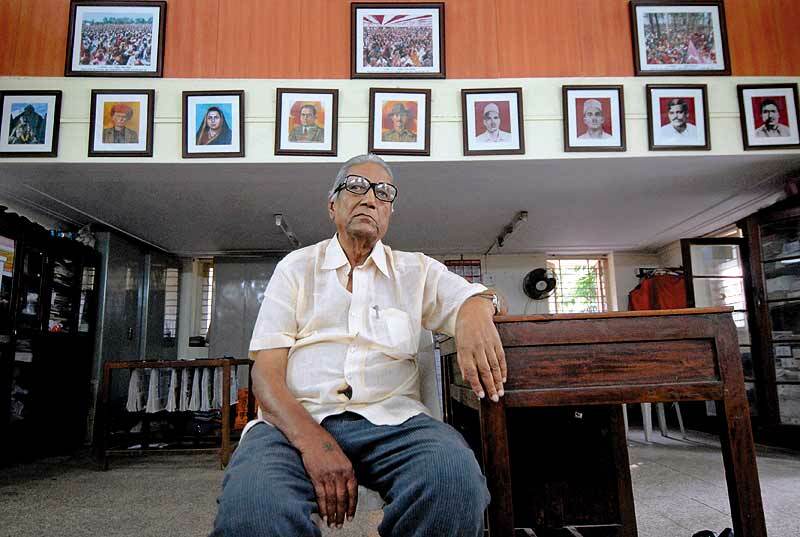 The retired businessman was a victim of the Sena’s ’60s anti-Madrasi campaign. I had briefly known Thackeray when he was with the Free Press Journal. He was an ordinary man then. But I lost touch with him after that. I had even attended some of his speeches. He was very dogged on the issue of Marathi pride and Maharashtrians. Later on, people told him about how south Indians were occupying important positions in P&T, banking, BARC etc. Which is when he started his campaigns against us. They didn’t factor in the fact that the south Indians were getting these jobs because they were well educated. Anyway, once I was walking to the Portuguese church in Dadar when some Sena activists attacked me and ripped off my dhoti. At the time they were running a campaign against south Indians wearing lungis/mundus. (The Sena had launched a vicious campaign, “Bajao pungi, bhagao lungi”, basically targeting Tamilians, Malayalis and the Shetty community running the Udupi restaurants in Bombay.) A friend staying with me who didn’t know Marathi was also attacked near my residence in Worli. He wanted to file a police complaint, but I told him there was no point. My next encounter with the Sena was in the late 1960s when I had started a leather business with an office at Nana Chowk. I had kept a north Indian as our office peon. A few days later, some Sena workers came and threatened me, asking why I was not employing Marathis. I told them my peon was a hard worker, and it wasn’t about where he was from. They asked me to keep two of their people. I tried to argue but eventually relented and kept one of them. He used to ask for increments every two months and even threatened me as well. Later, others from the party came around and threatened that they would shut down my office. Eventually, I wrote a letter to Balasaheb explaining the situation to him. I asked that he stop his men from attacking and threatening me. I don’t know whether it was because of the letter but after a few days I got a call from some Sena people and they said they would not bother me anymore. My son was shot at point blank range by a policeman during the riots. He was just 17 years old. It’s too painful to talk about it. Even the Srikrishna Commission recommended investigation in the incident against the policemen. Since then, I don’t know how many complaints and reports I have filed to anyone and everyone who could help. We have been complaining but so far nothing has happened. What if the cases don’t stand in court? End of the day, all this will be of any consequence only if the courts uphold it. What is the use of me narrating it before you? I am 62 now. But we are still trying. My wife is also with me in this. I don’t know how I feel about Thackeray’s death. I know one thing—that I will fight for justice for my son till I can. How can I give up? I can’t, I won’t. During the riots, we saw the police firing at Hari masjid. I was shot at too. People were inside the masjid when the police fired at Muslims and even arrested some (including me). When they were carrying me to the police station, the Sainiks were standing around abusing us. At the Srikrishna Commission, MLAs had given statements indicting Thackeray, saying he had called them and ordered them to get Muslims killed. Later on, even the Mahanagar newspaper office was attacked. But nothing came of those depositions and submissions. He was never tried. No one was punished. My grievance is that the government helped them. It’s this ‘you scratch my back and I will scratch yours’ thing. Although the Sena influence is waning, the government always takes them along because they don’t want trouble. Bal Thackeray opposed different people and communities at different stages—starting with writer and activist Acharya Atre (he drew a cartoon of a pig and called it Atre). That antagonism remained his plank till the end. In the 1970s, the fight was between the Dalit Panthers and Shiv Sena on issues like reservations and the atrocities on Dalits. In the early 1970s, incidents like Bhagwat Jadhav’s death, the Worli riots etc had a major impact on the city. The fights were violent with people using knives, stones etc. Thackeray openly said that Dalit houses should be burnt down. But one must understand that they were supported by the Congress. They took a stand that Dr Babasaheb Ambedkar’s book, Riddles in Hinduism, should not be published. It was a bad struggle and finally we had to reach some compromise. Mumbai was tense for almost four months and I met Thackeray during those days. We told him we have to end this; otherwise it would go out of control from our side. There was a risk of uncontrolled violence and thousands would have died. Chhagan Bhujbal was the main troublemaker. I don’t believe Thackeray left behind any legacy. He was always pro-capitalist. What did he do for the Marathi people when the Sena controlled the bmc? Contracts were always given to non-Marathis. In this country, the Hindutva vote will always count for something. The pseudo-Hindutva followers, unsure about themselves and feeling threatened by the other, will always support his sort of politics. Thackeray flourished because of this mentality. It was also a bad time for industries. If a worker loses confidence in the strike, then it is easy to break him or draw him to the other side. That is what the Shiv Sena succeeding in doing. But of the 2,75,000 people who lost their jobs when the factories shut down, 95 per cent were Marathi. What did the Sena do for them? And every time our workers lost jobs owing to the strikes, Sena men would be hired in their place. They were not good workers like ours, but they had the support of the managements. 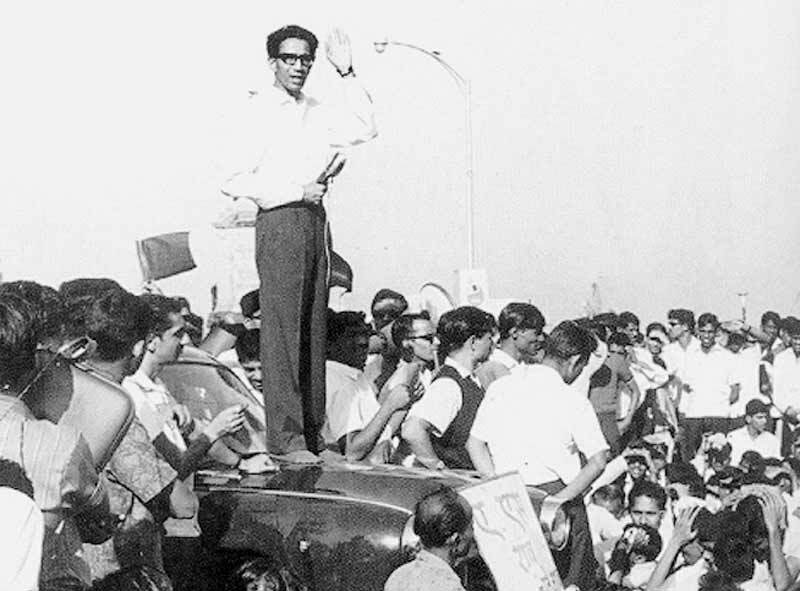 Often, when we would be protesting or striking, the Shiv Sena men would come in vehicles, followed by a police vehicle, and disrupt the strike. I remember getting beaten up by them, but it was still us who ended up in jail. Often, we were detained randomly. As it is, the Communists were looked upon with suspicion those days, for it was after 1962, when we had lost the war against China. We were in jail for 2-4 months but the Sena workers always got away scot-free. The fights were always very violent, but that was how things were at that time. Things changed for the worse after union leader and CPI MLA Krishna Desai’s murder. I knew him personally, he had a huge following. However, nothing came of the case, though the people who were arrested were said to be Sainiks. 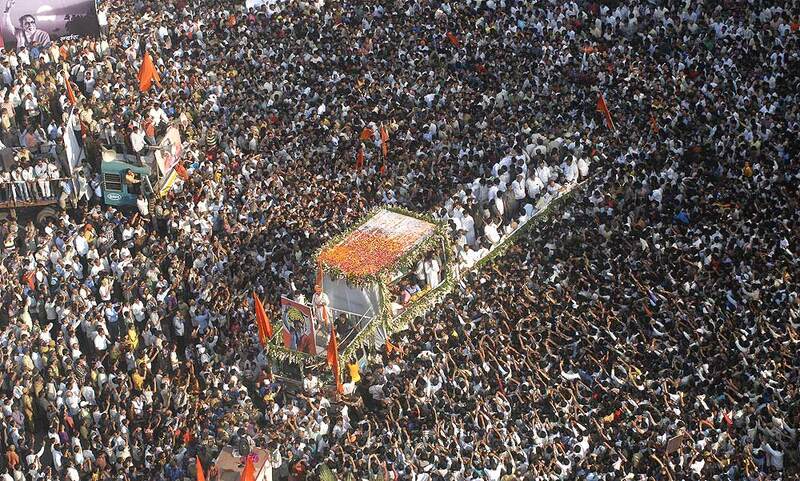 People think Balasaheb did all this single-handedly, which is not true. The party had the support of the state administration, police, the Congress party and the goondas. The managements provided money for the party activities. In fact, I remember him telling the workers, “Tata, Birla hamare anna data hai,” which proves that he was never once opposed to the management. I agree that he caught the imagination of the Marathi people, that he came to be their representative but what did his campaign or party achieve? From thousands of mills and factories, now Mumbai has a handful of factories that employ some 1,000-plus workers. How did that help anyone? If the attack on us bhaiyyas happens again, I am prepared. I will not run away from this city but I will also not be foolish enough not to hide. 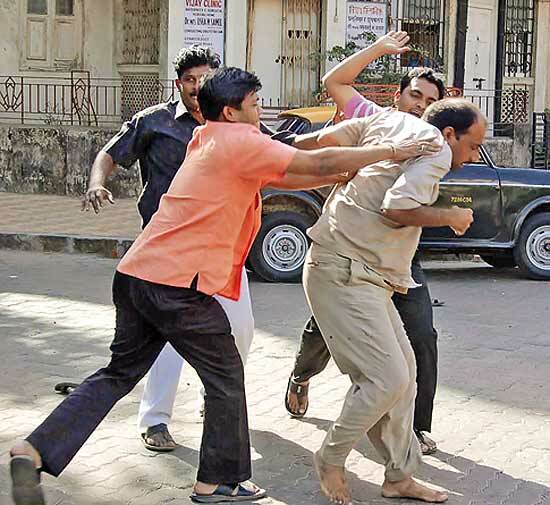 Last time, when the MNS decided to attack north Indians, I was out in the streets. I thought they wouldn’t attack me. I was in Borivili going towards my usual spot on the main road to set up my stall. Suddenly out of nowhere a big group of men arrived, asked me what I was doing there. One of them asked me, “You don’t know you are not supposed to be here? Aren’t you a bhaiyya?” Even before he had finished speaking, another man slapped me. I can still feel the sting of that slap. Sometimes when I think about it, I still feel humiliated. But I try not to think about it. The past few years have been peaceful and I don’t think a thing like that can happen again. I just put my head down and do my work. There’s no point trying to prove anything. We have to feed our families. My parents, children, siblings are all dependent on me. There isn’t enough work back home to feed everyone. My brother has gone to Fatehpur (UP). He was beaten up twice during his stay here. He got scared and ran away. I told him that things would change in some time. But the second time he was beaten up even after paying protection money by boys from the same outfit. Once that happened, he was convinced nothing could save him. He took a train back home. There were no tickets available, yet he boarded one and went back for good. He’s scared of Mumbai and says he never coming back. A lot of people I know went back home during that time. In Borivili, there were many from my state who pay money to the MNS to allow them to continue working in Mumbai. The whole air had been poisoned. There’s fear and it’s made us watchful and wary. I will not trust anything I am told here ever again. Last week, when Balasaheb passed away, I stayed at home. So did most of my friends. It’s better to be careful. October 30, 1966 Thackeray’s first Dusshera rally. A mob leaves the rally later to attack and burn south Indian shops and restaurants. The rally was also addressed by Congress leader Ramrao Adik. Attacks on south Indians were with the backing of CM Vasantrao Naik. 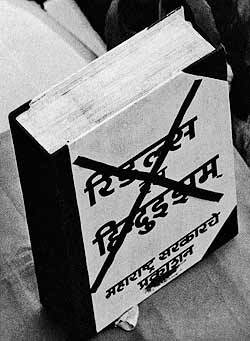 Mumbai 1968 Hindi films brought out by south Indian producers are stopped by Thackeray’s Shiv Sainiks. February 1969 Thackeray unleashes his goons against Kannadigas. 59 dead, 274 wounded, 151 cops injured in week of riots. June 6, 1970 CPI MLA and trade unionist Krishna Desai murdered in first political assassination in the city since 1947. January 1974 Dalit Panther leader Bhagwat Jadhav brutally killed by Thackeray’s men, sparks off war with Dalits. 1975-76 Thackeray shocks colleagues, praises Sanjay Gandhi during the Emergency. By 1977, changes tack. Jan 1982 Thackeray supports Congress in Great Textile Strike. Breaks ties under duress, goes back three years later. From 1984 Shiv Sena carries out attacks on Dalit farmers in Vidarbha and Marathwada, destroying crops, burning huts. 1985 Thackeray calls for expulsion of ‘outsiders’, proposes 1972 as cut-off date for having moved to Maharashtra. 1985 Cong CM Vasantdada Patil connives to help Shiv Sena win BMC polls with ‘Bombay part of Maharashtra’ issue. March 1988 The wonderful “saviour of Sikhs” Thackeray calls for a boycott of Sikh businesses in Maharashtra. 1988 Thackeray’s ‘boycott of Sikhs businesses’ idea is quietly abandoned after extorting crores from Sikhs in Mumbai. Post 1989 + Mandal riots Thackeray finds a more convenient target for his political purposes: Indian Muslims. October 1991 Thackeray’s thugs attack journalists, fracturing one woman’s (Manimala) skull with a crowbar. 1991 Thackeray takes it one step further, threatens a local judge who had ruled against his goons with blinding. 1991 Thackeray’s Dopahar ka Saamna editorial very sweetly compares women journalists to prostitutes. 1995 Thackeray: “If they have their Dawood, then we have our Arun Gawli.” Because all politicos need a personal mafia. July 1996 The Ramesh Kini murder after long term intimidation. SS-BJP state govt tries to bury investigation. 1997 Kini’s wife accuses Raj Thackeray of his murder. HC asked CBI to investigate but Mumbai police destroys evidence. 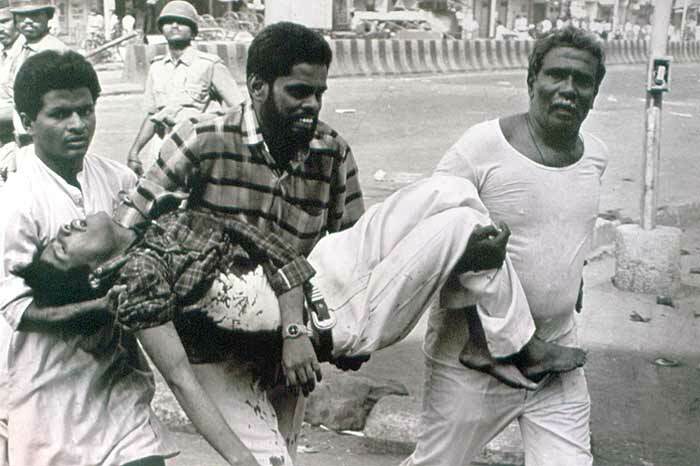 July 11, 1997 Ten Dalits are killed and over 30 wounded at the Ramabai Ambedkar Nagar massacre. None were armed. Republic Day, 1997 Two adivasi youths murdered. Adivasi women sexually assaulted by police and SS workers at Talasari. Late 1990s SS-BJP goverment summarily withdraws over 1,100 cases of atrocities against Dalits in Marathwada.